A few weeks ago, I was craving some super cute curls. Not that I don't love my satin strips, I just wanted something a little different. So I sat around thinking -- Curlformers? Nah, don't feel like spending that much money. 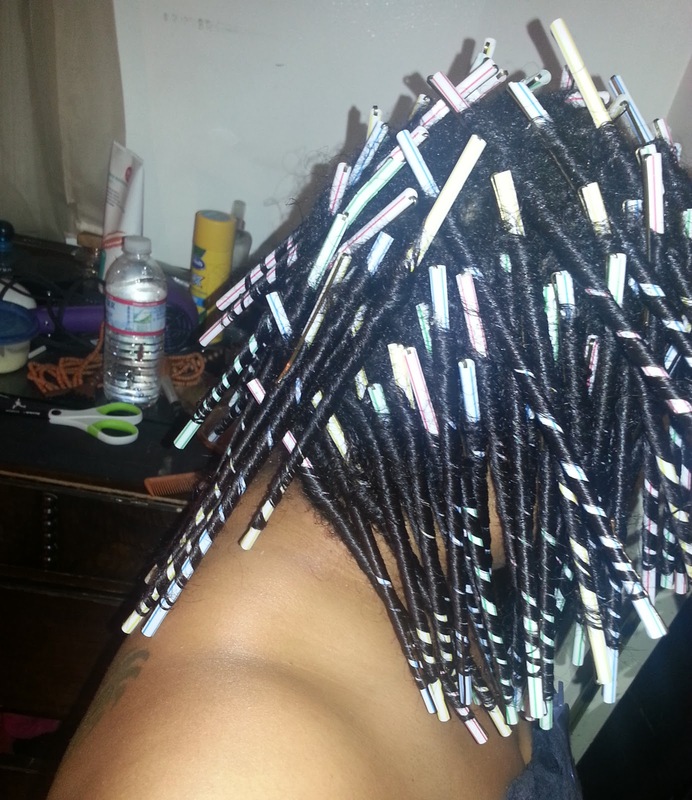 Flexi Rods? Eh, those didn't work out as well as I wanted to, plus sleeping in them was something I wasn't exactly looking forward to. 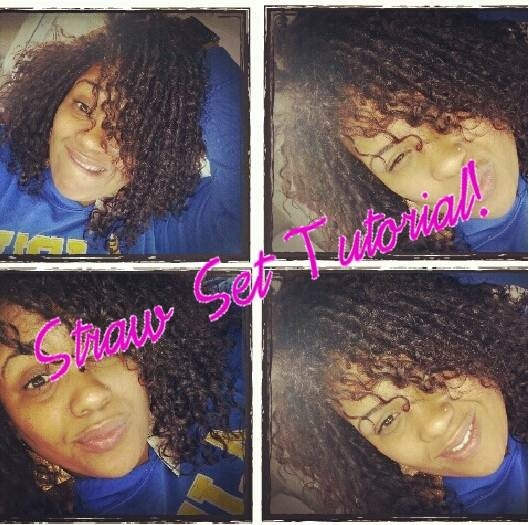 Bantu knots? 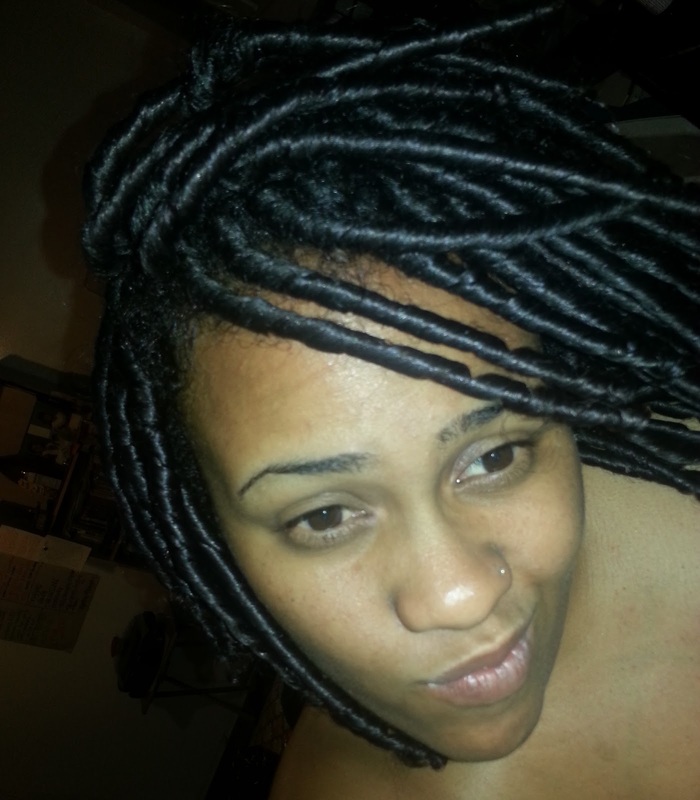 More sleep uncomfortable-ness + Jada Pinkett Smith syndrome. Then it dawned on me: what about a straw set? 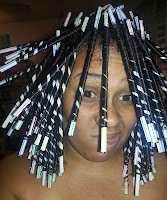 So I took to YouTube, searching for straw sets done on longer hair....and the results were dismal. Sure, there are plenty of straw set tutorials out there, but none of the ladies had my same length of hair. 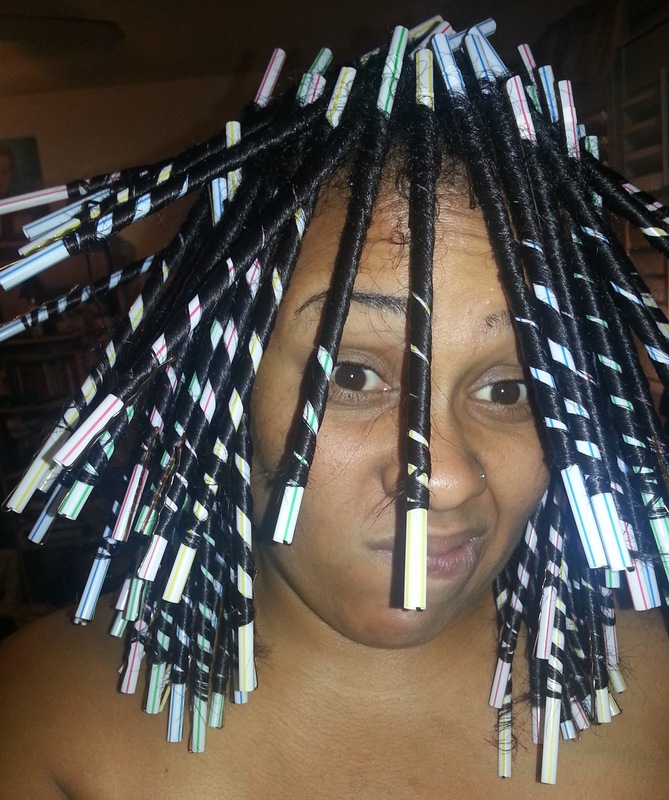 The closest one to my length involved boba straws (no thanks, I might as well get Flexi Rods) -- so I pretty much decided to venture into uncharted territory: a straw set on long, transitioning hair. What I discovered in this process is that the straw set is a super-cute and completely viable option for bargain-hunting transitioners that want a taste of the full-curly experience. I am super impatient (ironic for a long-term transitioner, I know), but the straw set gave me a glimpse into my hair's full potential...once this heat damage is obsolete. I started the night before with a dry finger detangle using my DIY fluffy styling cream. I also lathered on a bit more, so it could set overnight as a pre-poo treatment. I layered on a Target bag, a satin scarf, and called it a night. 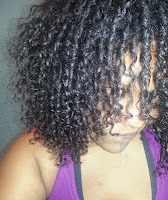 The next day, I co-washed and conditioned with Trader Joe's Nourish Spa conditioner. I parted my hair into four large sections, and began working in small sections. Note: I ended up with 90 straw curls. Individual results may vary. I layered my hair with moisture, protein, leave-in and styling product. For moisture I used a few spritzes of water. Protein, my trusty ApHogee Keratin & Green Tea Restructurizer. My leave-in was a concoction comprised of water, Trader Joe's Nourish Spa conditioner, and a teensy bit of DIY fluffy styling cream. I wanted my curls nourished, but still spring-loaded. Finally, I set my hair with flax seed gel. I coiled the end of each section of hair around the straw, making sure the ends of my hair faced upward toward the top of the straw (for extra security). After twisting the straw around about 1/3 of the way, I went back and secured the end with a small bobby pin. 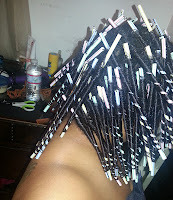 Once the hair was coiled around the straw and close to my scalp (but not too tight or pulling), I secured the top of the straw with a large bobby pin. Because it took forever to do (almost 4 hours), and I wasn't heavy-handed with product, I only sat under the dryer for about an hour just to make sure everything was dry. 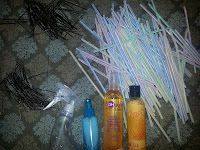 Once that was complete, I lathered DIY fluffy styling cream on my hands and removed all bobby pins and straws. Note: you may want to wait a few minutes before removing bobby pins. I definitely burned my fingertips a few times. At this crossroads in the game, I laid it down for the night. I left my 90 curls in tact with plans to separate them the next day. After gymming the next day, I took to the task of separating each curl. To get a more fluffy, less defined, big hair fro-esque look, I separated each curl into 3 or 4 different curls, with my hands slathered in DIY fluffy styling cream. Yes, it took forever. The curls look something like this before they're separated. 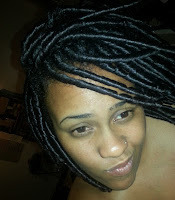 I kinda felt like I had locs for a (half) day. I call my straw set a recession-proof style because it is one of the most effective uniform curl-setting styles out there. You probably already have a bobby pin arsenal, and straws are $2 or $3, tops. Ready to try a straw set? E-mail me if you have questions at tinapatrice@gmail.com, and send pictures of your results to be featured on The Mane Objective! Beautiful!! I just did a straw set as well on my hair and couldn't find anyone on YouTube with long hair that tried it. I was happy with the results that I ended up getting though! I think next time I won't cut the top part off the straws though, that way the curls are more elongated. Thank you!!! That was my motivation, too. I couldn't find anyone who did a straw set on longer hair. I will be doing a video tutorial soon!!! Too cute! I'm just starting my transition and I have micro braids (not tiny) in for a protective style and I'm finding a LOT of info on natural hair styles and transitioning. It's scary starting out and I need to pray for patience during the process. Thanks for the idea! this is beautiful; please how did you maintain the hair for the nxt few days? This is awesome. Thank you for sharing. I recently retired corporate life and want to go natural from my 35 year relaxing and cutting days. Unfortunately when my hair started to grow out I couldn't get past 2 months. Then I didn't think the gray would look good or healthy so I relaxed it. But I think a straw set would work for me and it's beautiful. 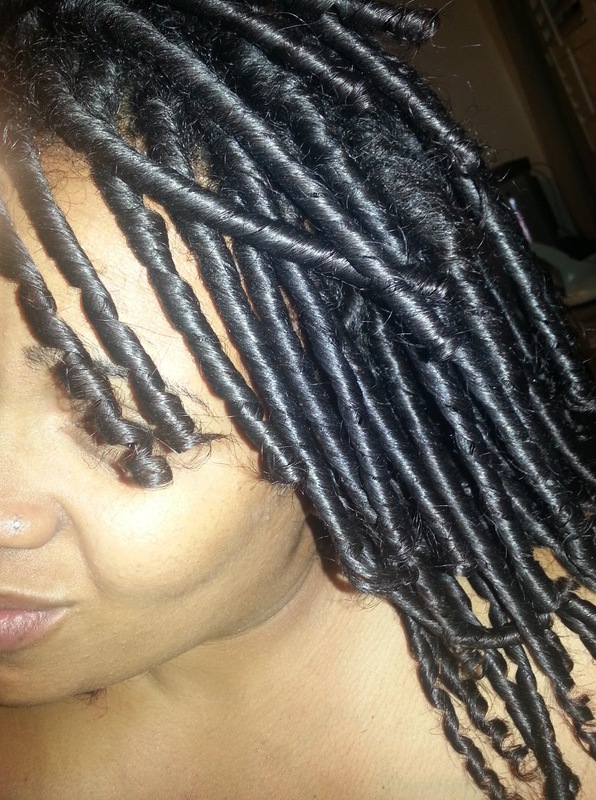 It would be good if some of the natural hair sites had older women with gray hair featured. Thanks again for sharing. You've inspired me to try again. I did the big chop about 5 years ago and remained natural until July of 2014. 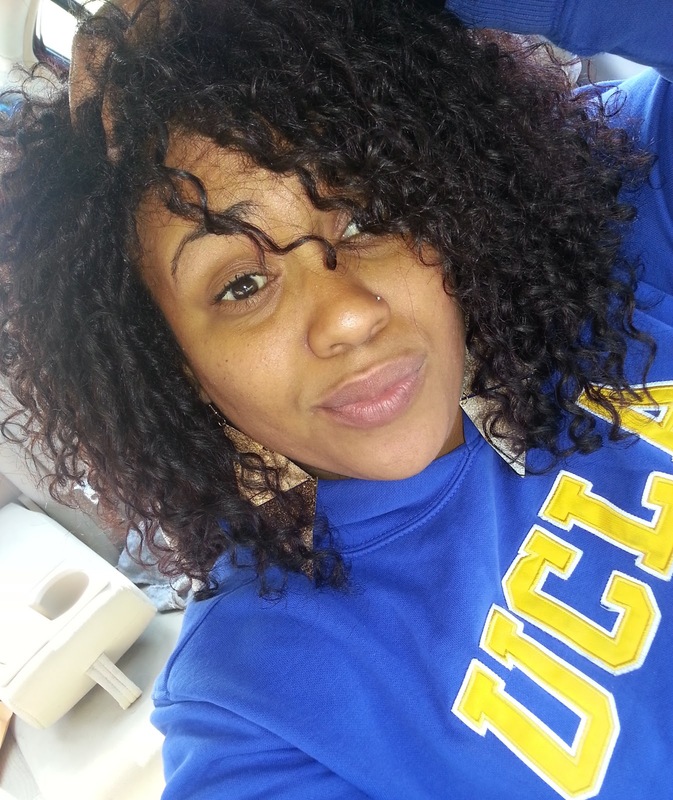 I recently decided to go back natural i miss my curls :(. This time i decided to transition. Thank you for this style this is something i can do on a Friday night after work. Can't wait to see the results.